The bond between a 92-year-old widow, her 11-year-old granddaughter, and a half-blind older rescue dog named Abbi, is described in the little dog’s voice. 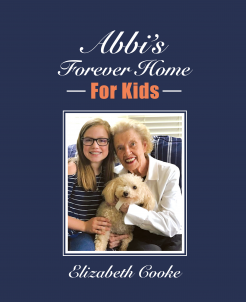 Written for kids – ages 9-12 – with a centerfold of pictures - it is funny, charming, and tells how Abbi, the small poodle, brings a world of love to all three. Elizabeth Cooke was for 30 years a member of the board of directors of The Bide-A-Wee Home in New York, a no-kill animal shelter complex, with facilities in the city and on Long Island. She has been an animal activist all her life.